This week, we're talking to Teri of Teri's Kidz Consignment Sale. 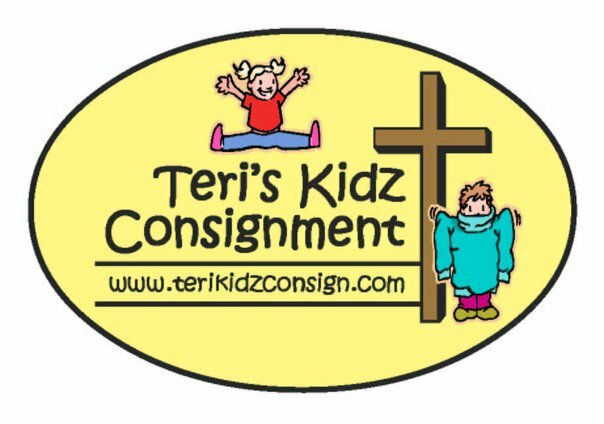 Teri Kidz Consignment Sale became a reality almost 13 years ago. I was homeschooling and trying to figure out a way to earn some extra money for curriculum and materials needs for my children. I was consigning at a sale in Huntersville and realized there was not a seasonal sale here in the Mooresville. Organization and Administration is my gift so I took the plunge in my own business. In 1998 we held our 1st sale in my garage with 50 consignors. So many Moms wanted to be part of our sale that I decided to expand and hold sales in empty buildings here in Mooresville. We are now at our limit of 300 consignors for this Fall Sale. 13 years. Here is our website. http://terikidzconsign.com/ Go check it out! Our sale has grown into more than a business. The sale has become a huge ministry to so many. We tithe our personal earnings to the Statesville Pregnancy Center; do care boxes for MANY families who are struggling, unsold clothing donations from our consignors go to the Mooresville Christian Mission. So our success is really the community success also. Why pay retail on clothing and kidz items when you can get it at a fraction of cost at our sale? All items are inspected carefully. Quality is #1 for our sale not the quantity of items brought at the sale. Last sale we had over 50,000 kidz items tagged in! Favorite thing about your business? Being part of a business that gives back to the Community! My husband , Robert and I can truly say we have built a Consignment Family in the past 13 years. I love shopping at the Give-Back Boutique that the Mooresville Christian Mission sponsors. I also support many of our local seasonal kids and women sales by shopping our working together as business owners. Thank you so much, Teri!! Go check out her site and like it on Facebook, too! GO Teri! Thank you for your service to our community.